You remember the 1898 knitted cap I made for Mr. Aitch with overdyed yarn? 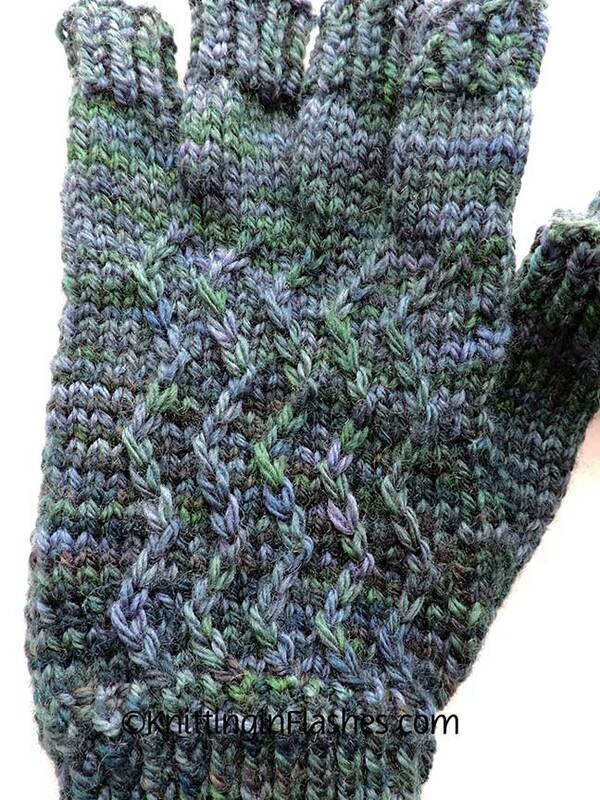 Well, it needed some fingerless gloves for company. 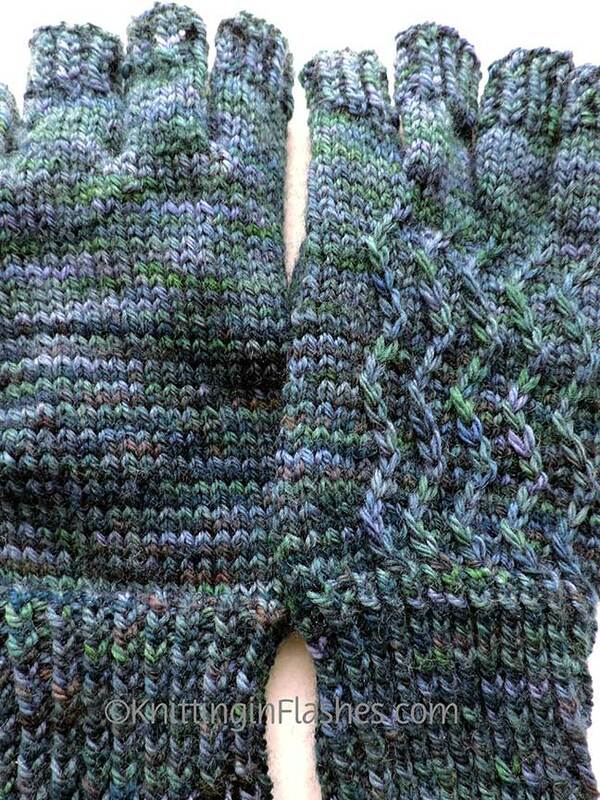 I didn’t have enough yarn leftover and I knew I’d never get the same color to match. 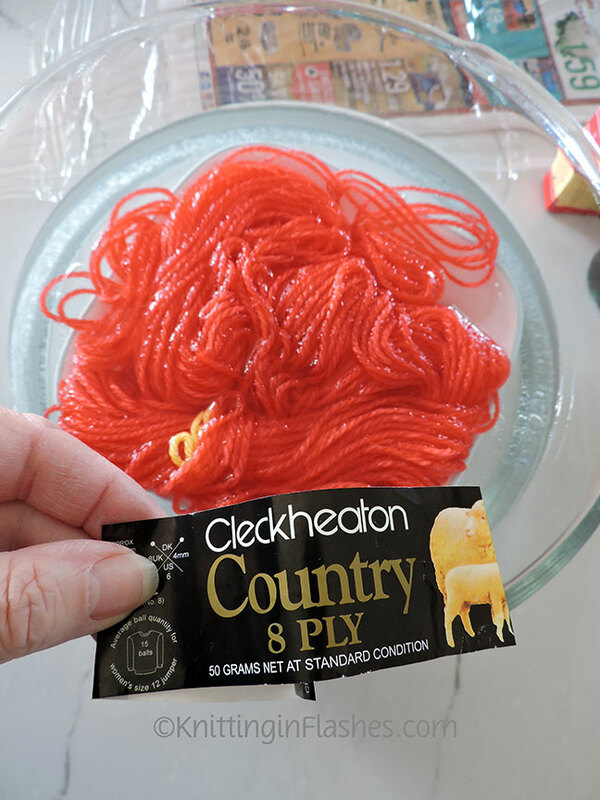 That’s why it’s important to get enough of the same dye lot when knitting (or crocheting) any yarny project. 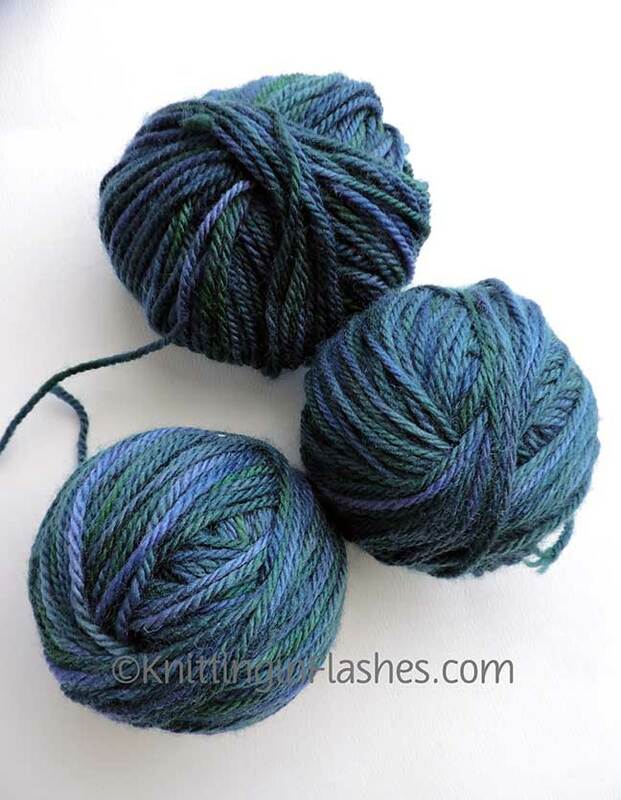 So I overdyed another skein of yarn but starting out with a totally different color. 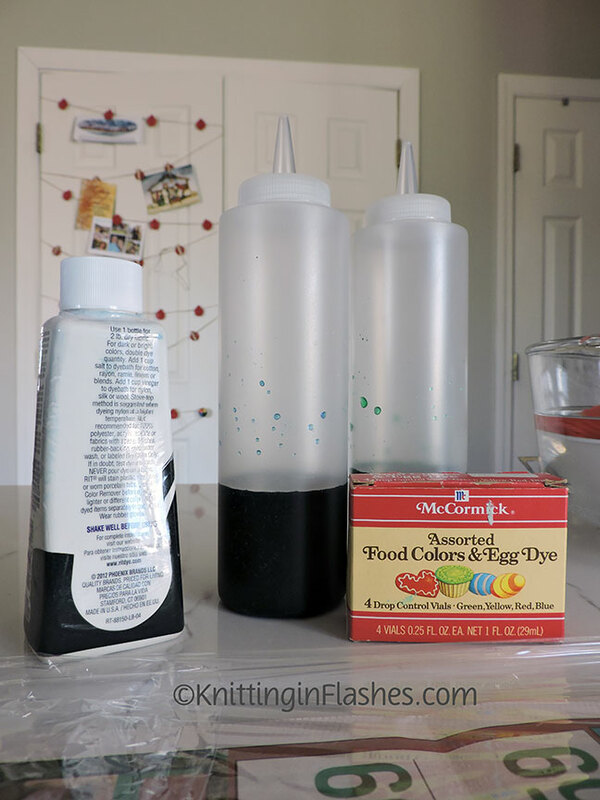 Using the same brand of yarn and the same food dye colors, I wanted to get something that would coordinate with the original overdye. 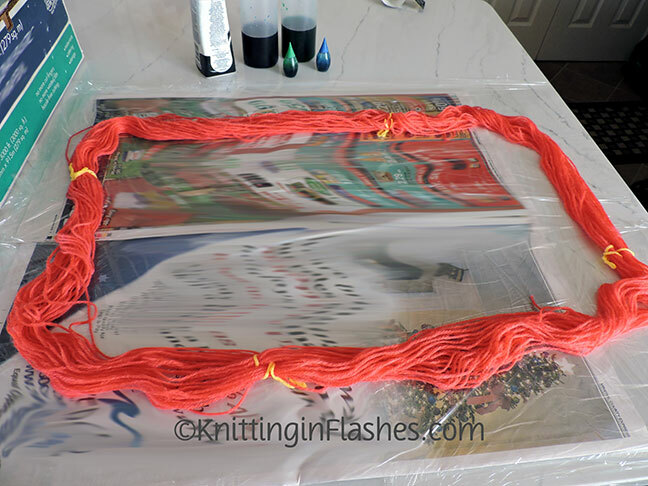 I added some leftover Rit dye, a mixture of blue and black, from another project. The blue and green food coloring just wasn’t covering that bright coral color. Close enough for a contrast but still in the same family. 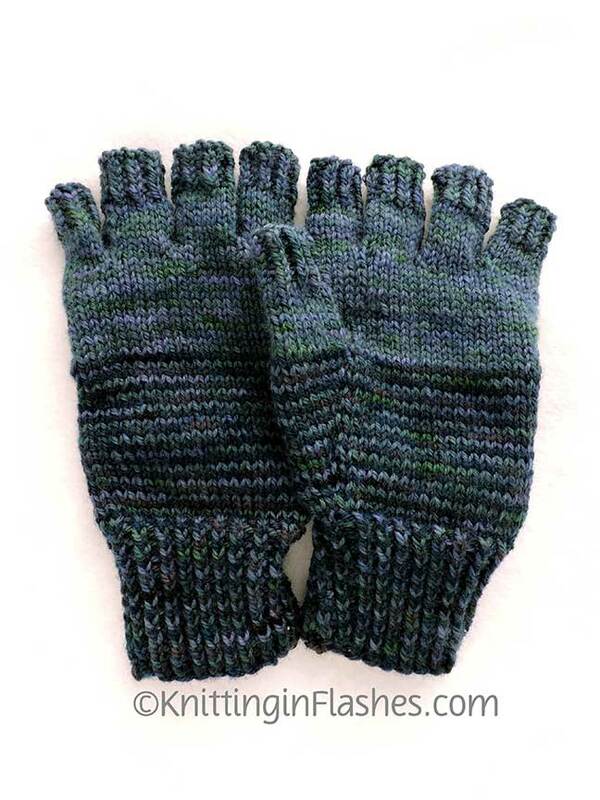 The fingerless glove pattern is the Don’t skid, honey! by Justyna Lorkowska. 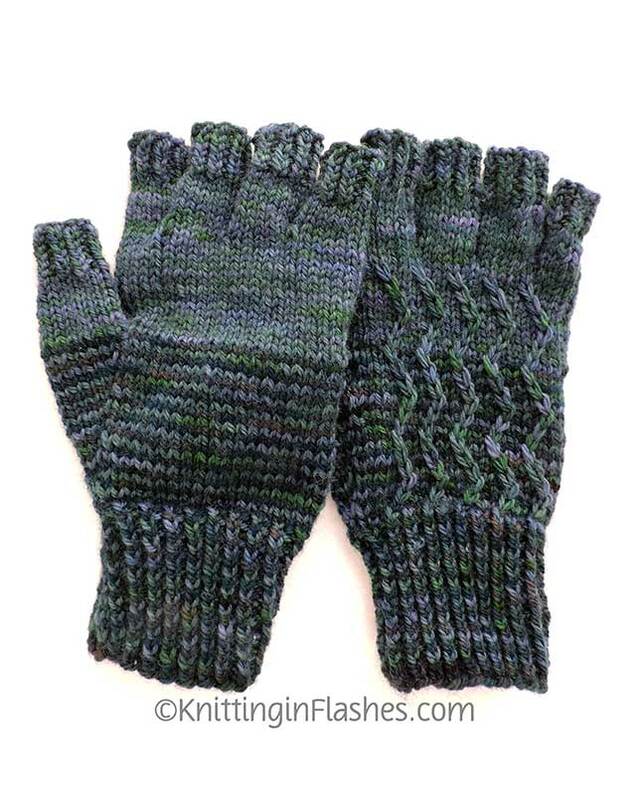 The zigzags reminded me of smoke and Mr. Aitch needed a new pair to keep his hands warm when he smokes a cigar (in the garage in the winter). You can see the two colors on the palm. We’ve had some bitter cold temperature here lately and Mr. Aitch has worn the gloves inside to keep his hands warm while at the computer. 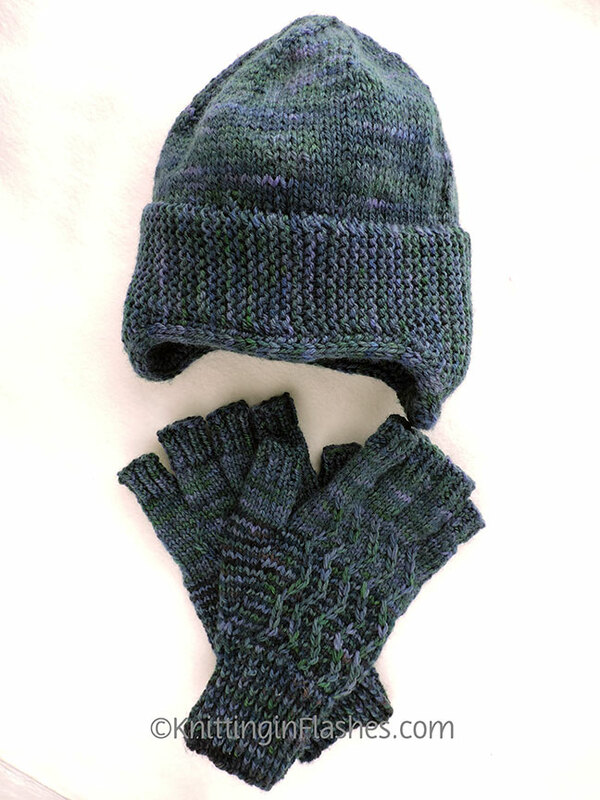 This entry was posted in dye, finished object, knit, knitting, knitting pattern, mitts, overdye, yarn and tagged 1898 knitted cap, fingerless mitts, gloves, knit, knitting, mitts, overdye, yarn by Patti_is_knittinginflashes. Bookmark the permalink. Well that worked out perfectly. Stay toasty! I love the colors! Btw…..I really love my socks! Thank you so much for them! 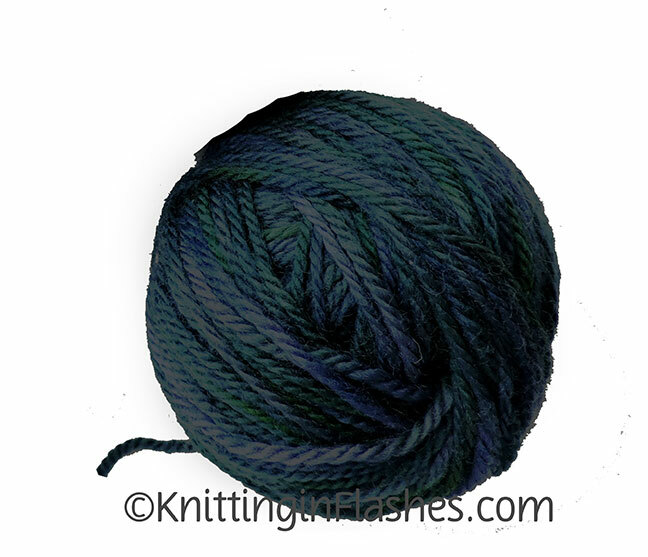 I think you were just about spot on with the yarn, it’s perfect for the set. 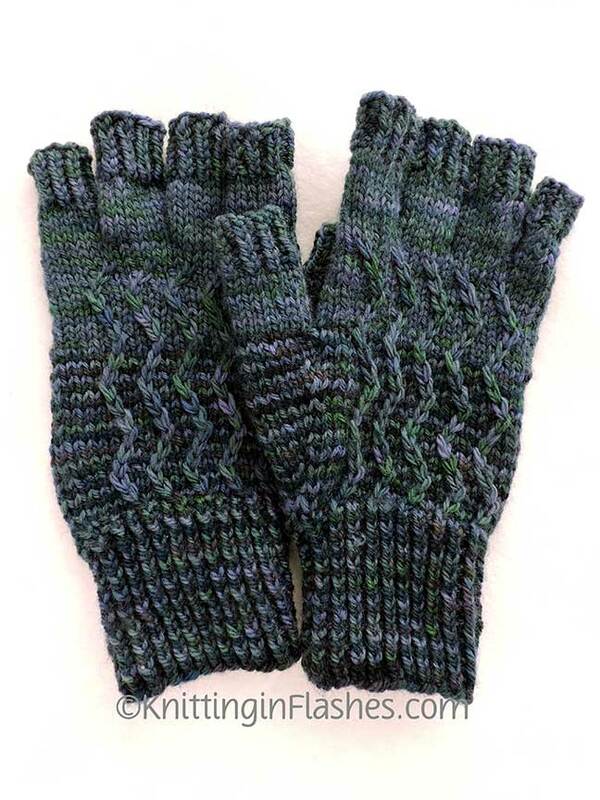 I think I need to go find my fingerless mitts to warm up my hands while I surf the web!